On Saturday we moved into our unfinished house. The bedroom is finished but the rest of it still has a lot of little things that need to be done. And then there is one big thing still undone: our kitchen. The builder has been scrambling his men for the last few days trying to finish everything up but these things never run on the schedule that we want them too. But we moved in anyway. We moved in because we were ready to embrace this house and make it our home. With the entire flurry of moving I thought I’m not going to write a devotional this week. It’s impossible. And then God spoke quietly to me and I thought I’m going to quickly write this and share it with because it is precious and holy. Sometimes I wonder what Jesus sees me? 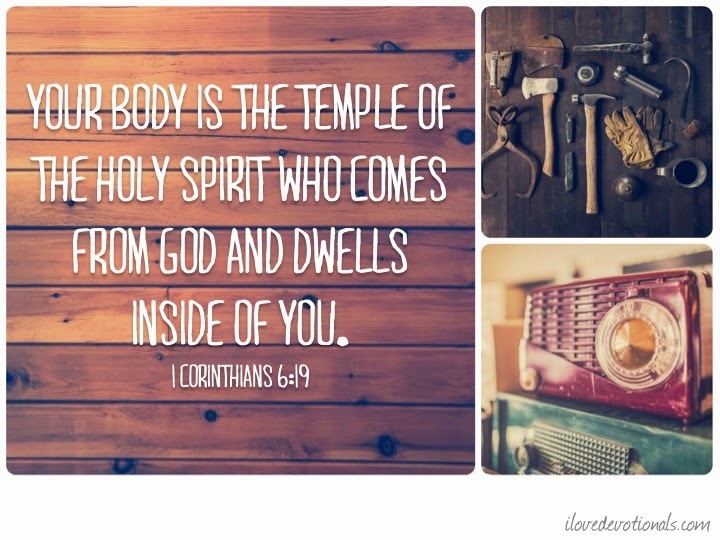 I wonder about that verse which says that my body is a temple and I wonder why Jesus would ever want to come and dwell in me? Doesn’t Jesus know I’m a mess? Doesn’t Jesus know that I don’t have a kitchen? Doesn’t Jesus know that I don’t have it all together? Doesn’t Jesus know that there is a hole in the fence that still needs to be mended? Doesn’t Jesus know that I’m not ready for him to move in? Jesus doesn’t wait for us to be perfect. 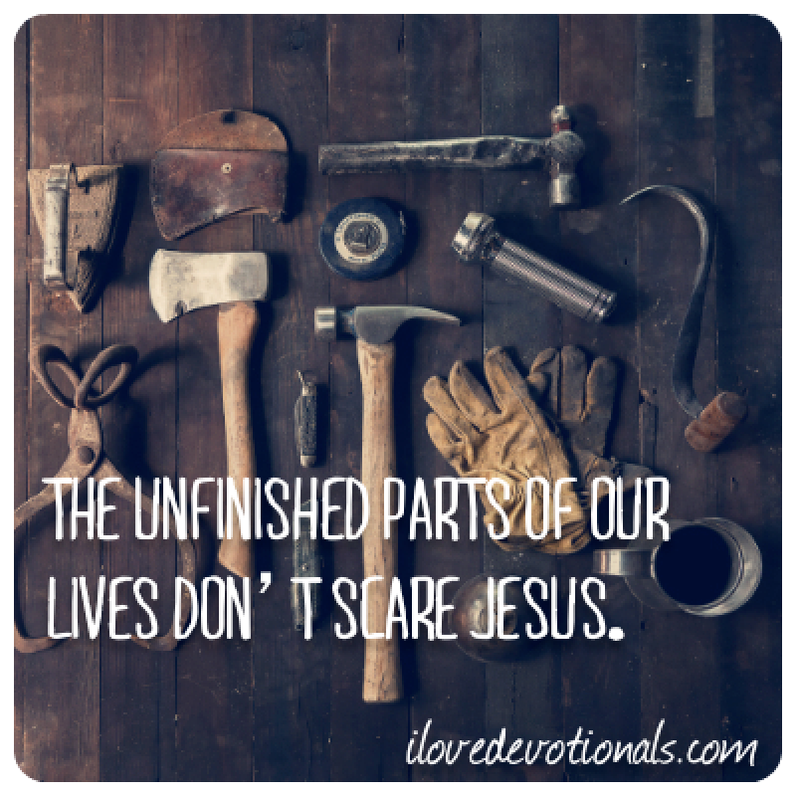 Our unfinished bits can’t keep Jesus away. Do you hear that Grace? I do. And I’m breathing more easily. Now if only Jesus would come and help unpack some of these boxes! Ponder: Have you ever thought about how Jesus loves you just the way you are and that he doesn’t require you to do anything more to be the perfect dwelling place for him?